For those who are not familiar with the repossession court process, court can be a daunting prospect, especially when you are facing the prospect of losing your home. We are all very experienced in these matters and we will guide you through the process and prepare you for Court. We will ensure that you will know what to expect at court and what will happen. We will explain that the Lender will have a representative at court, who will be there to ask the court for either an Outright Possession Order or for Your Application to be dismissed. Lenders often use the threat of court as a way of getting what they want. They will explain that it is a foregone conclusion that you will lose your home. This is incorrect and it is a terrible misrepresentation of what the court service does. 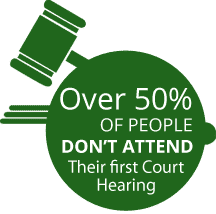 The court and the Judge is there to administer Justice and we know that we can help you through this tough time and hold your hand throughout the process. The Repossession Court Process is not there to evict you if you can afford the mortgage but we have to present a strong and robust case to the Judge and give the Judge all the correct information to enable them to use the discretion they can to uphold your application and suspend the Warrant of Eviction or Order for Possession. This will mean that you can stay in your home. Hi there my names Mr. Quinn from Bradford. I’d just like to say thank you very much to revival for helping me recently. In court I was very unsure of what to do. Went on their website, spoke to Luke and even spoke to him over a over a weekend and he was very helpful as this was all last minute. We arranged to see a solicitor who met us in court before the proceedings and we got everything settled amicably so I was very impressed with the service and would recommend it to anybody else. Need help with the repossession court process?